Parties to negotiating process expect Russia's response. Ukraine, France and Germany have agreed to resume the work of the 'Normandy Four', Ukrainian President Petro Poroshenko said. "Today, presidential administration deputy head Yeliseyev told me that this issue [quiet start of September 1] has been agreed with our partners from France and Germany exactly in the same way as the issue of resuming the functioning of the 'Normandy Format' has been agreed," Poroshenko told journalists on 31 August in Mariupol, Donetsk region. 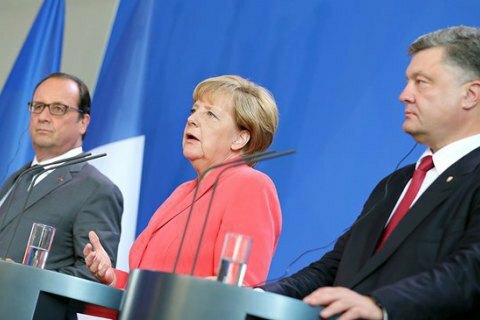 The 'Normandy Four' on settlement of the situation in Donbas comprises Ukraine, France, Germany and Russia.